Another new idea of mine is to post some of the software that I have used to create my remixes and megamixes. 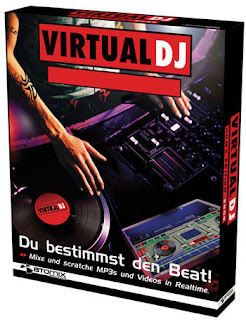 This new version of VirtualDJ brings many new and exciting features. It greatly enhances the core values which made VirtualDJ so popular: accessibility, versatility and cutting-edge technology. By default, VirtualDJ comes preinstalled with an impressive list of over 40 different USB controllers, already fully mapped and ready to be used plug-and-play. But if you have a controller that is not in the preinstalled list, you can easily create a "definition" file for it, using a simple XML syntax, for any HID or MIDI controller. Or, you can find on our website many user-submitted definition XMLs for almost every controller available on the market.